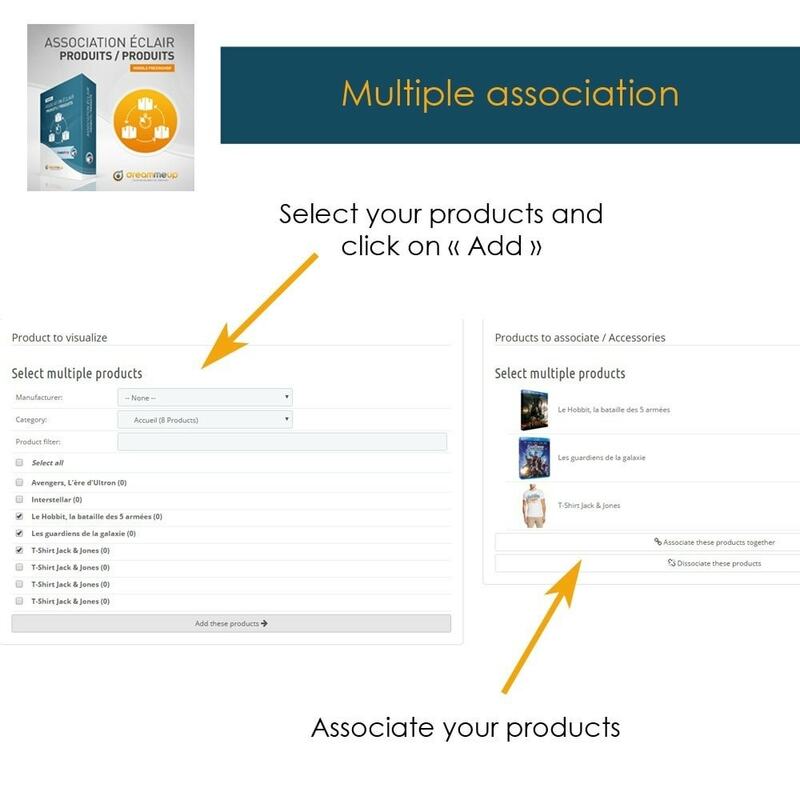 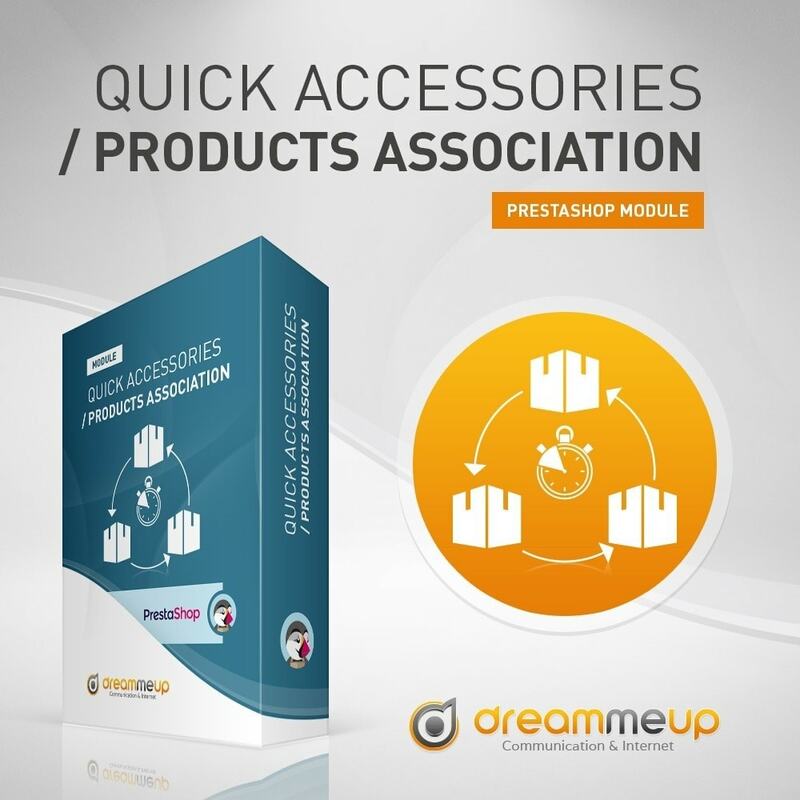 A module required for your products association ! 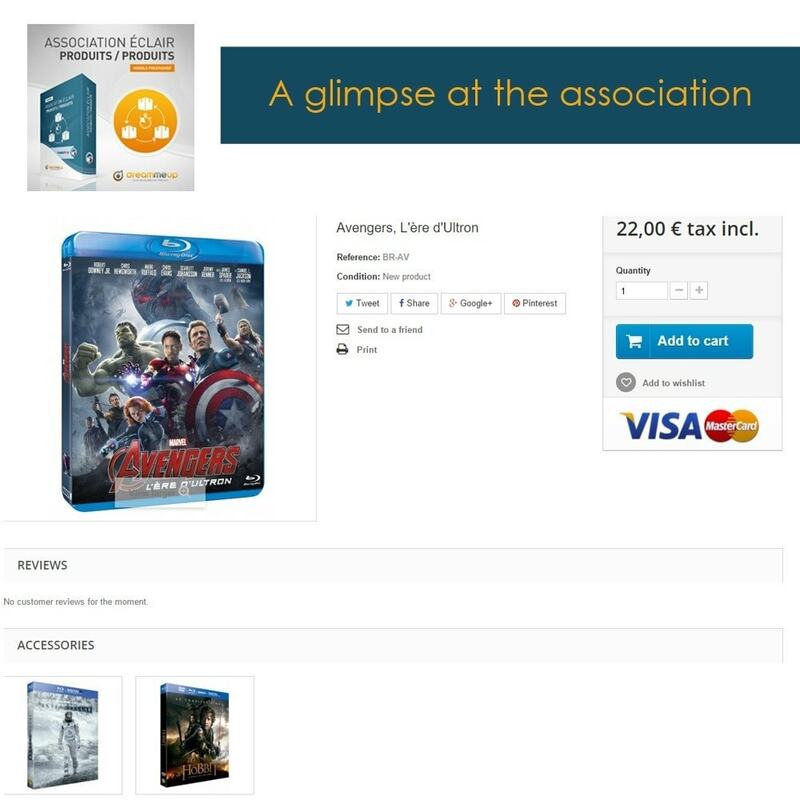 In a single interface, fully ajax (without reloading the page), you can manage the accessories for each of your products. 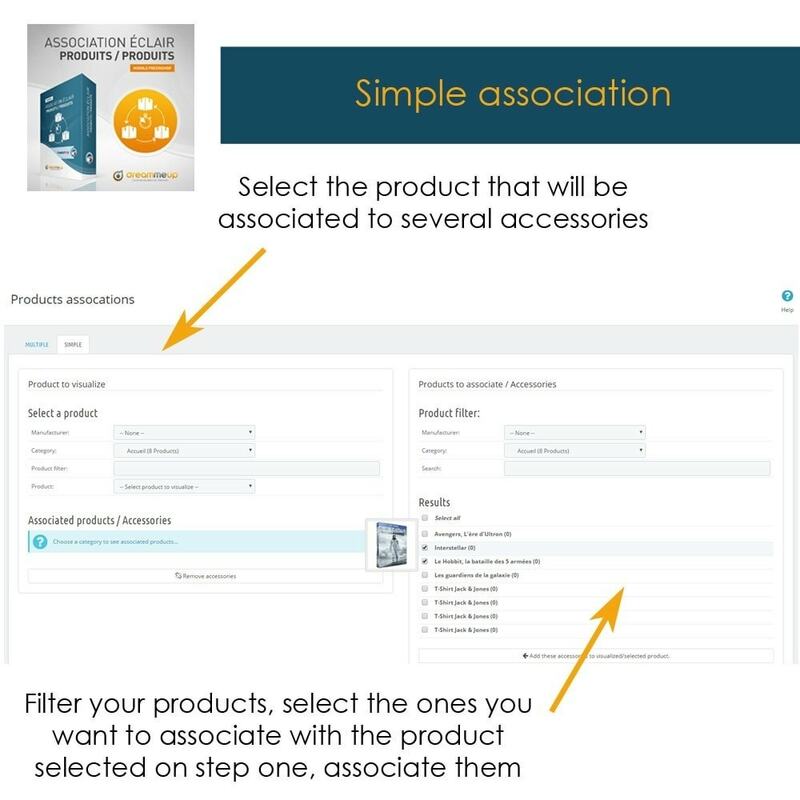 Do not spend hours navigating between each product to choose the accessories!